Samsung Galaxy S9/ S9 Plus/ S8/ S8 Plus/ NOTE 8/ NOTE5/ S7 Edge/ S7 etc. 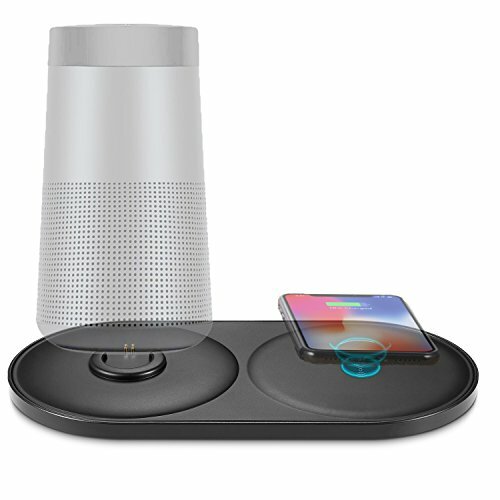 【One Year Warranty from KuxiuDirect】This is a great charging holder if you have a Soundlink revolve/revolve+ speaker, not only conveniently charging for both speaker and cellphones, but also keep desktop clean and tidy wherever at home or in the office. Come with one year warranty from KuxiuDirect! If you have any questions about this product by KU XIU, contact us by completing and submitting the form below. If you are looking for a specif part number, please include it with your message.